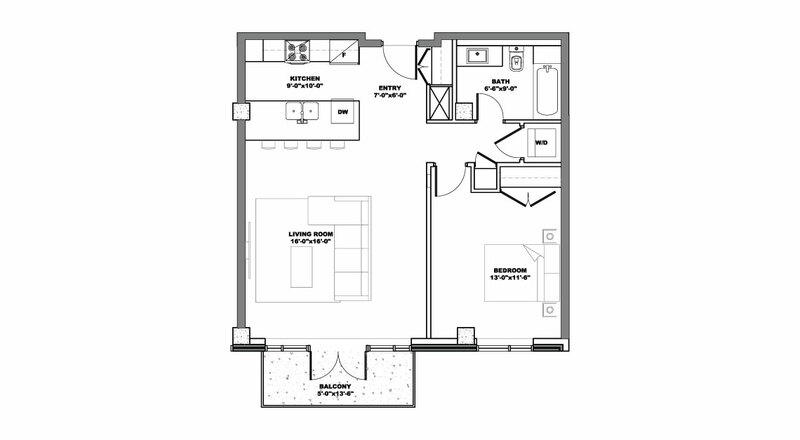 A spacious 1 bedroom condominium on The Keep’s fourth floor overlooking the 2nd floor rooftop terrace. The high-end kitchen is appointed with a magnificent centre island, quartz countertops, soft-close drawers and cabinets to the ceiling. The open-concept inspired living and dining area were designed with entertaining in mind; they offer incredible comfort with lots of light and raised ceilings. Step outside on you own private balcony. This condominium is just steps away from the 4th floor rooftop terrace.